ICI is well known for working to meet the specific needs of its customers. Whether you need just 10 workstations, or an entire building of workstations, ICI and its experienced crew can take care of your needs. We install both new and refurbished office products. ICI has extensive first-hand experience and specialized training for handling both new and used products such as Knoll, DIRTT, Steelcase, Teknion, Hon, Haworth, Allsteel, Kimball, Trendway and Herman Miller to name a few. 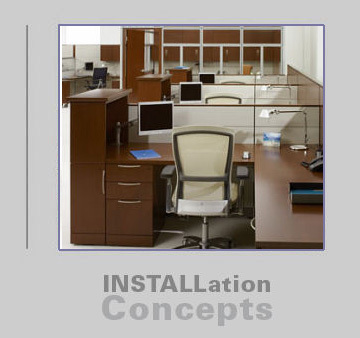 ICI is confident in our ability to install all product lines per the manufacturer’s specifications. All of our work is guaranteed against installation defects for a period of one year. Additionally, ICI is the only registered Preferred Provider in the Washington, DC metro area that is part of the installNET National Network of independent installers.